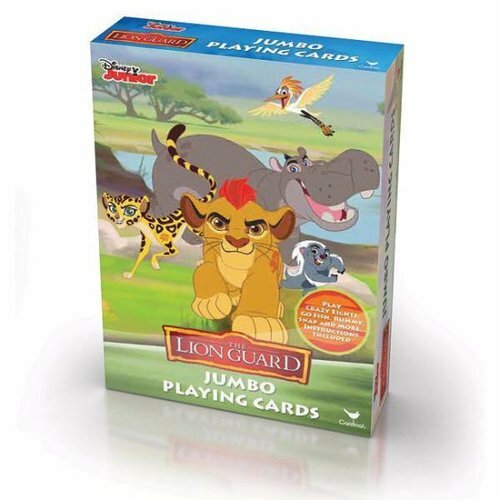 Now you can have your favourite Lion Guard characters on your Jumbo playing cards! These quality cards will provide hours of fun for the entire family. Colourful graphics depicting your favourite characters from the movie. 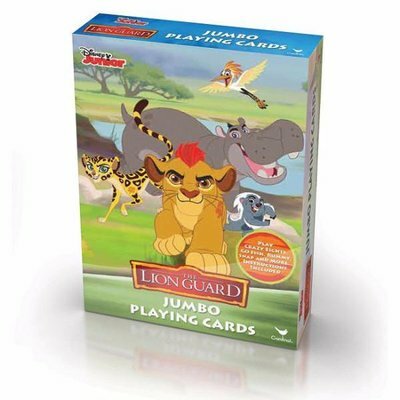 This deck of amazing playing cards includes joker cards as well, and a set of instructions for classic card games like Go Fish, Crazy Eights, Snap, War, Slap Jack, Rummy, Old Maid, and Spit. You don't have to wait for a party to use these giant playing cards!